With Halloween approaching, costumes, parties, and candy are on everyone’s mind. 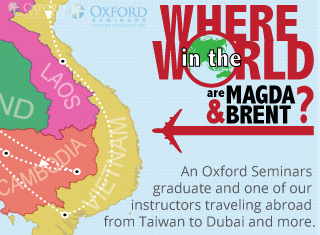 If you’re thinking about teaching English abroad, you may find yourself wondering how you’ll celebrate your favorite holidays after you go overseas, as well as what kinds of new holidays you’ll get to experience. It may surprise you to learn that Halloween is predominantly a North American holiday, with only a handful of other countries (and expat communities of ESL teachers abroad) partaking in the fun of trick-or-treating and dressing up like their favorite super heroes and celebrities. That being said, many countries and regions have holidays that, while different in meaning and custom, offer a similarly spooky experience. 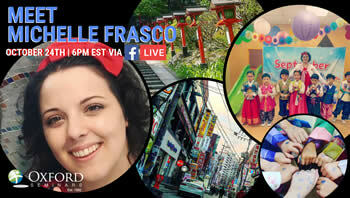 Check out some of the frightful festivities of Mexico, Hong Kong, and Europe below! Known in English as the “Day of the Dead”, Dia de los Muertos is a Mexican holiday focused on celebrating and showing love for deceased family and friends. The holiday takes place annually on November 1st and 2nd, and involves festivals and parades, colorful makeup and costumes, as well as feasting and ceremonies commemorating the dead. 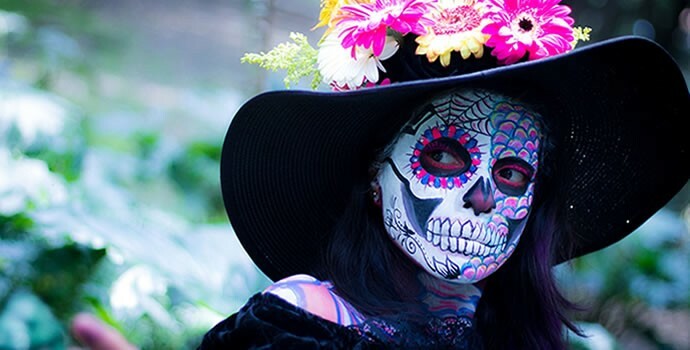 The most common symbol associated with Dia de los Muertos is the Calavera Catrina, a female, skeletal figure dressed in a large hat and ball gown. 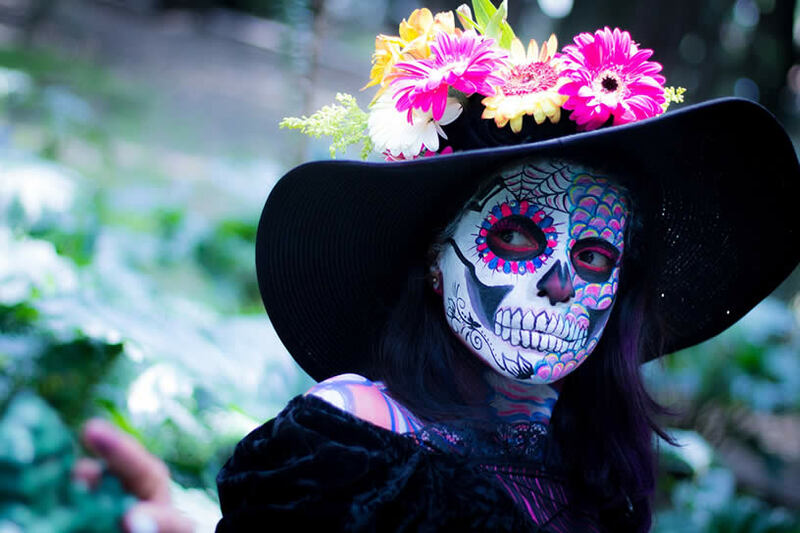 The Calavera Catrina was created in 1947 by artist and political satirist, Diego Rivera to satirize what he saw as an obsession with wealth and European culture in Mexico at the time. Images and costumes depicting the Calavera Catrina are very common in parades and other celebrations of the holiday. 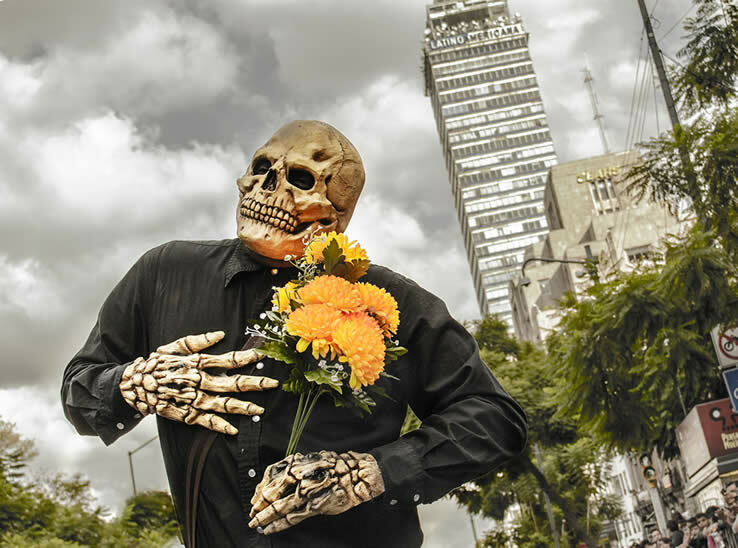 Dia de los Muertos celebrations take place throughout Mexico, and each region celebrates differently, making the holiday a varied and exciting experience regardless of where you are teaching in Mexico. Similar to Dia de los Muertos, Hong Kong’s Hungry Ghost Festival honors and appeases deceased ancestors and loved ones in the spirit world. The festival, also known as “Yu Lan” takes place on the 15th day of the 7th month of the Lunar calendar, but celebrations and ceremonies can take place throughout the month. During the festival, ghosts and sprits are said to return to the world of the living. People taking part in the festival will light fires, put on plays, and make offerings of food, fake money, and household items to assist these wandering ghosts in the afterlife. As the festival is tied to the lunar calendar, the date on the western calendar changes each year. To see when next year’s Hungry Ghost Festival is taking place, check the Hong Kong tourism board’s website. If you’re teaching ESL in Hong Kong or planning to, Yu Lan is one of the better ways to experience the region’s unique culture. Walpurgisnacht, or “the night of witches” is celebrated on April 30th in Germany and other areas of Europe. 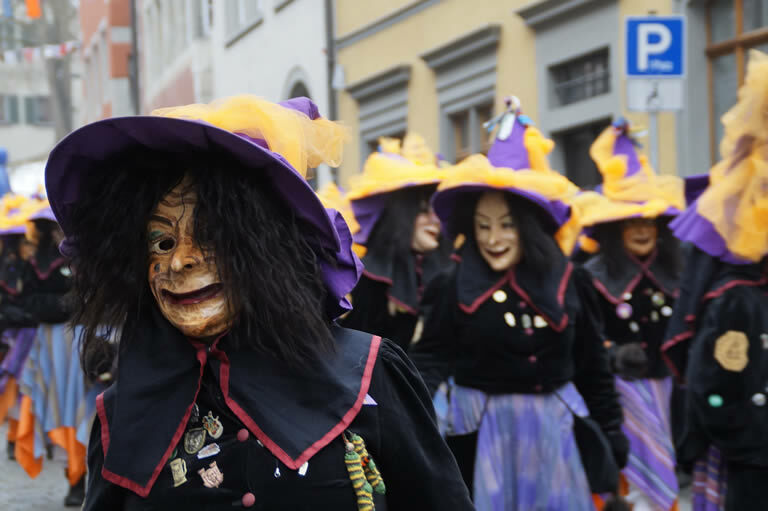 The holiday finds its roots in folklore surrounding the Harz Mountains in Germany, which were supposedly a gathering site for witches to perform rituals to celebrate the arrival of Spring. Today, Walpurgisnacht is celebrated in a variety of ways. In Germany, people celebrate the day by dressing up as witches and devils and hosting parties, similar to Halloween. 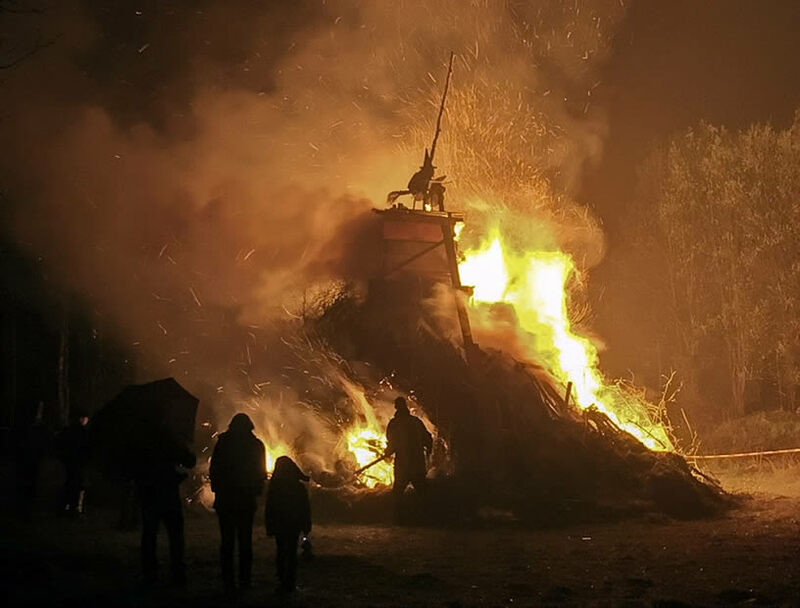 In other countries such as Sweden, celebrations are more traditional, with revelers opting to light bonfires and sing traditional songs to celebrate the arrival of Spring. These are just a few of the unique holidays that the world has to offer. While the candy and costumes of Halloween are the highlight of the Fall season for many, make this the year you try something different and explore the world around you. 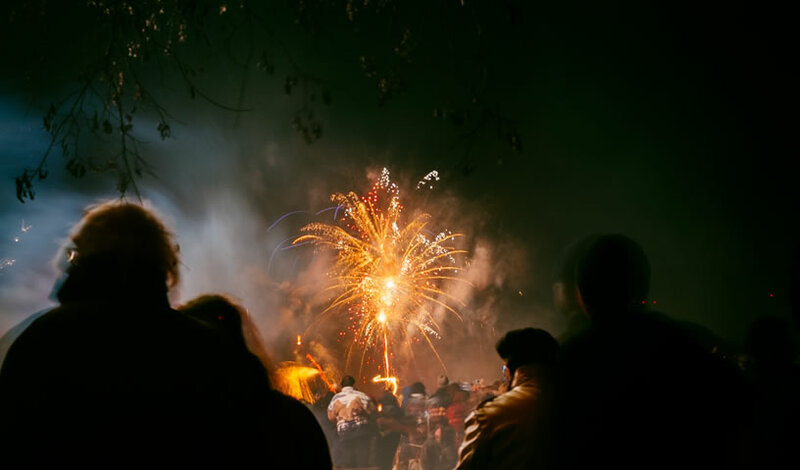 Whether it’s Dia de los Muertos, the Hungry Ghost festival, Walpurgisnacht, or any number of exciting holidays around the world, taking the chance and exploring other countries and cultures will give you the experience of a lifetime.